Burundi, located in central Africa, is one of the poorest countries in the world. Most citizens make about $1.00 a day. Most people do not have jobs outside the home. They live by subsistence farming and bartering. There are many needs for community development in such areas as; medical, education agriculture, sanitation, roads, utilities and health. Recent civil war has devastated its economy and ravaged livestock. In 2004 one church was established in Kayanze province. Today. there are more than 80 churches in 12 provinces. 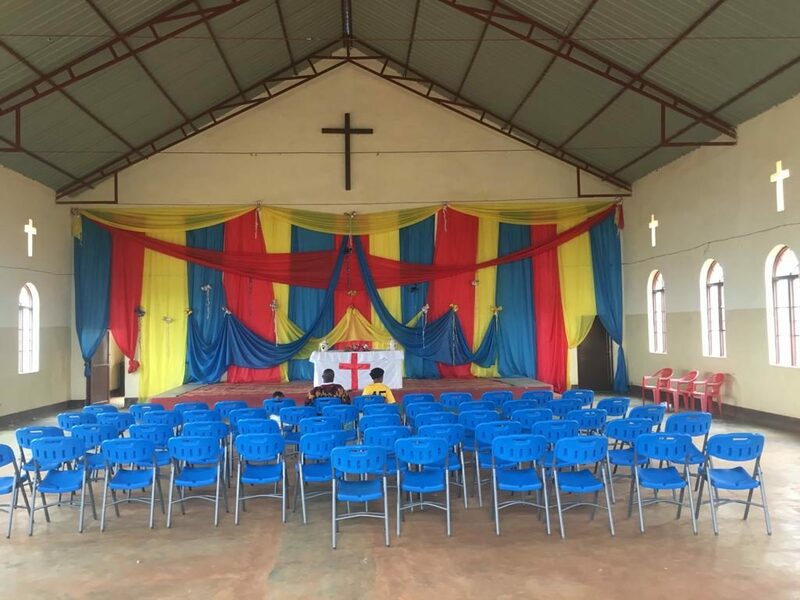 These churches make up The Evangelical Free Baptist Churches of Burndi and work closely with American Baptist Churches, USA. 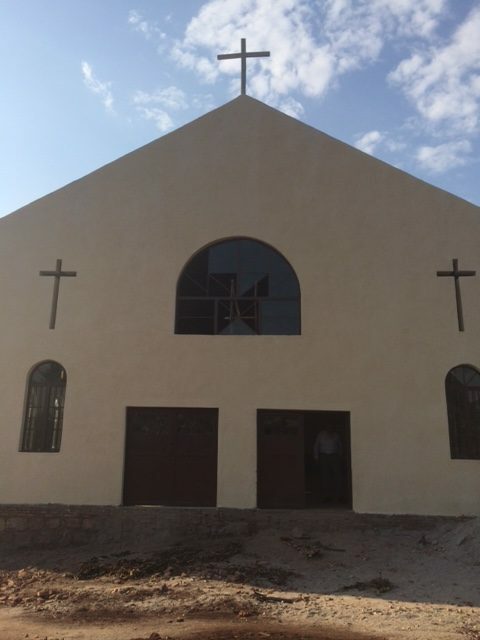 The other group of Baptist Churches that we have deep ties with is the Baptist Union of Burundi. Muyinga is one of the larger cities in Burundi with a population of about 50,000. It is located in the northeastern corner of the country in one of the poorest areas. 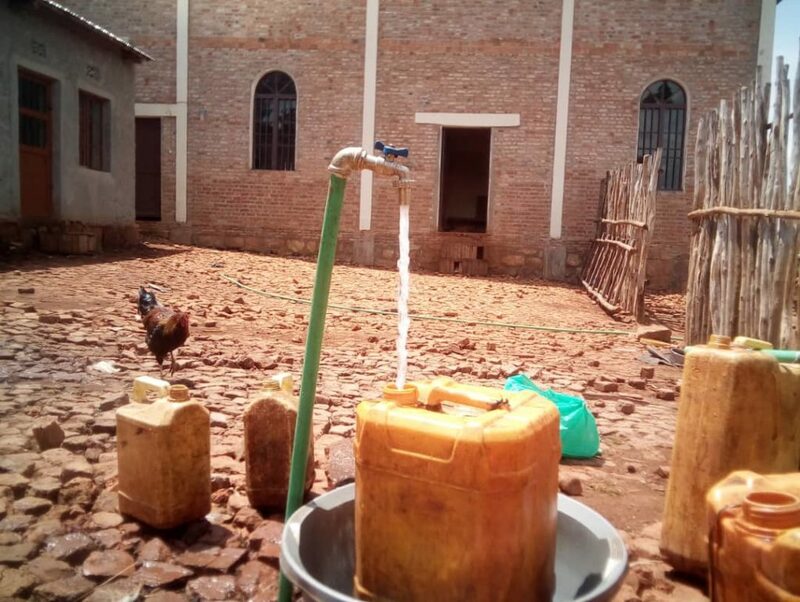 A group of Baptists meeting in Muyinga as the Urukundo (love) Church owned some land with a small building on it, but it was back a ways from the road and not easily accessible. They needed roadside frontage and a much larger building. At the same time, in Burundi there were four children, who through World Vision, had been matched with a sponsor half-way around the globe, in Honolulu, Hawaii, that being our Director of Missions, Sharon Dumas. [MORE ABOUT SHARON]. 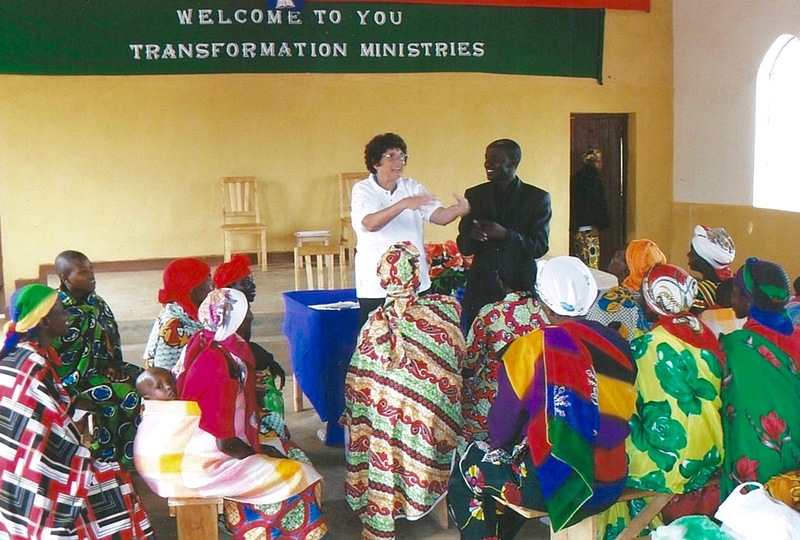 In 2009 Sharon jumped at the chance to travel to Burundi on a mission trip sponsored by Transformation Ministries and decided, if possible she would like to meet the children she sponsors there. She was able to meet two of them and their families. 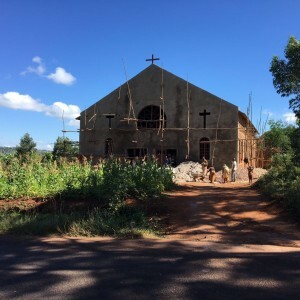 One of those children lives in Muyinga and because of that connection Sharon was asked if she would minister in that area and if First Baptist Church of Honolulu could adopt the Baptist Church there. While in Burundi Sharon was directly involved in teaching women of the churches and also teaching at an orphanage. 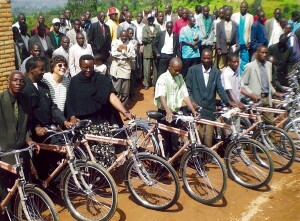 Some of our first efforts in Burundi were in providing bicycles for Pastors to use in ministering to their congregations. Where poverty is high, opportunities for education are low, so there is a shortage of trained, ordained pastors to shepherd the Churches there. 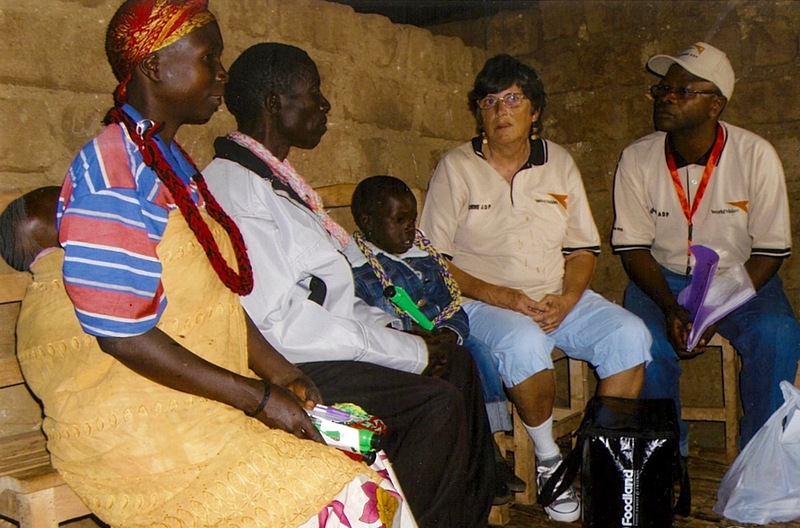 One pastor may serve as many as five churches at a time. The local leaders generally have no Biblical training , so they rely on mentorship from these pastors. However, walking from church to church can take hours. 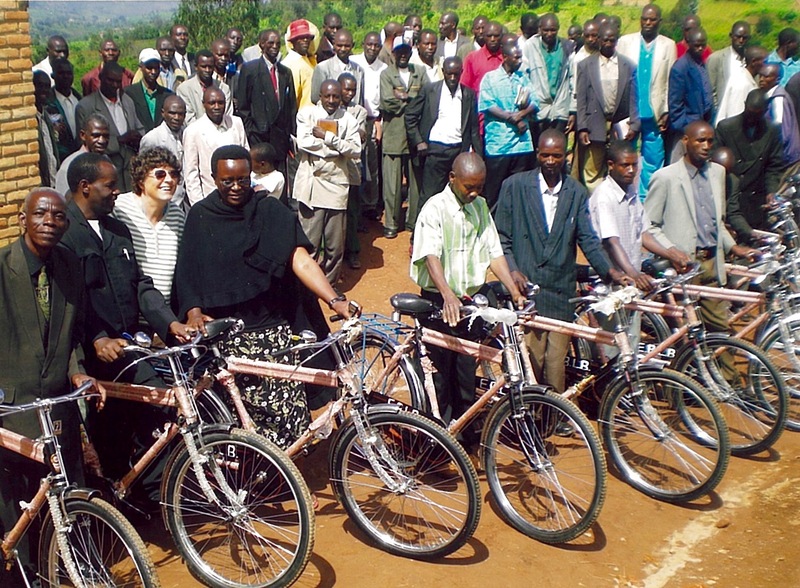 FBCH along with other American Baptists have been able to provide nearly 100 bicycles to pastors enabling more efficient and speedy travel to their congregations. One of the means by which FBCH was able to raise money for Burundi was through the “Ice Cream Challenge” which encouraged members to donate money they would have ordinarily spent on ice cream to Burundi. Goats have also been purchased and given to families to provide for their on-going needs. Goats provide milk (often the only food for children) and their manure improves the soil, helping crops grow. Extra milk can be made into butter, cheese and yogurt to sell at market. Goat herds increase quickly, providing a source of meat and income. Families share the offspring so others have goats to raise. 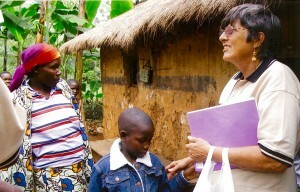 When Sharon returned from her first trip to Burundi she became one of their strongest advocates. Her enthusiasm for the people and ministries there became a catalyst the Holy Spirit used to generate support from many different sources but most significantly, First Baptist Church of Honolulu, with the help of our church plants in Hawaii, (Windward Baptist Church and Cross Current Fellowship). Nearly $4,000 was raised, enough to purchase the land needed for the roadside frontage and to lay the foundation for a new church building. 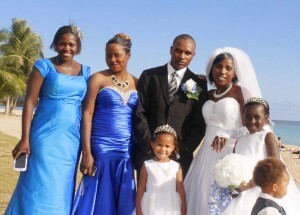 This was accomplished in 2012 shortly after Sharon’s second trip there. It should also be noted that World Wide Gifts in Green Lake was also kind enough to give two grants which helped pay for some of the materials. 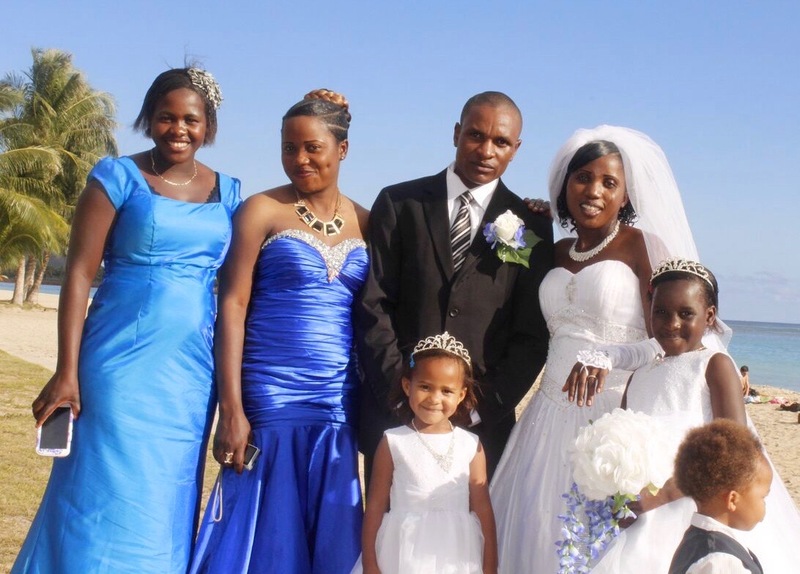 Recently Pastor Barry was approached by a couple seeking to be married, both the Bride and Groom were born and raised in Burundi and happy to learn of our interest in and support of the work and ministry being done there. Eleazar and Orestine began attending our church and have been involved in ministry here in Honolulu through FBCH. Yes, indeed, it is a small world after all. We want to thank all those who prayed and contributed financial support. Please continue praying for the completion of the building and for the development and planning of activities and ministries that will take place there. May it truly be a beacon of God’s love. 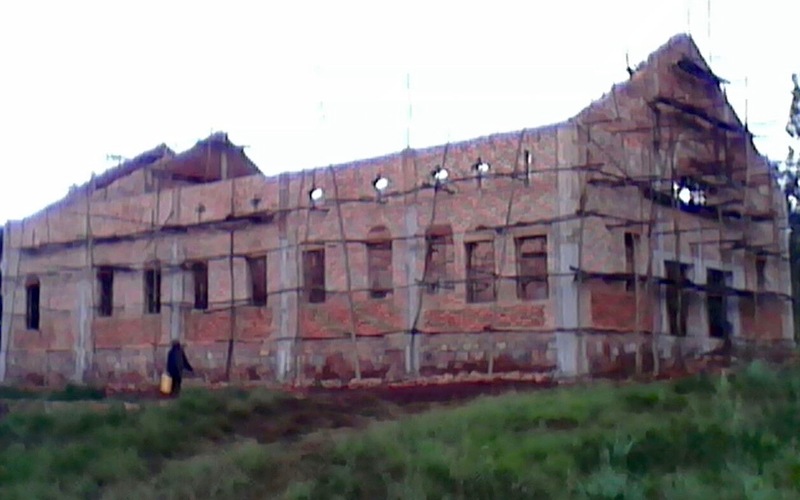 FBCH will continue to be deeply committed to ongoing support for God’s work in Muyinga. Donations for programing and supplies, etc. will be needed as the Church begins to utilize this resource God has provided for broadening their outreach and ministry. We are hoping a delegation from FBCH can be present at a future dedication of the facility. If you are interested contact Pastor Barry.